The gymnasium has seating for a few hundred fans in the balcony overlooking the court. 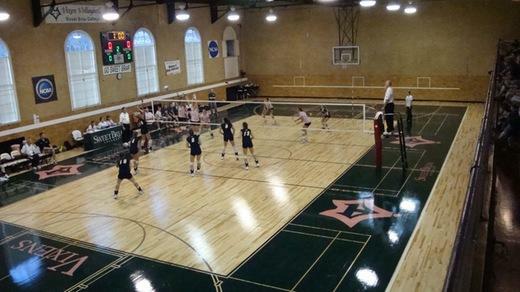 The Court was remodeled in the summer of 2009 with a state of the art surface from Connor Flooring called Green Play. It offers more give for our players who are jumping and diving on the court. The facility also features the Prothro Natatorium, an aerobics and fencing room, a free-weight room, cardiovascular and cybex equipment, newly renovated locker rooms and team rooms. Let's get in touch to discuss your next event.